"Idaho was the fourth American commonwealth to adopt woman suffrage. On January 21, 1895, the Third Legislature passed a joint resolution which permitted the electors of the the state to vote on a woman suffrage amendment to the constitution. At the next general election (November 3, 1896) the amendment was overwhelmingly indorsed by the voters of the state. The final count showed that 12,126 votes had been cast in favor of the measure, while only 6,282 ballots had been registered against it. The State Board of Canvassers, however, refused to declare the amendment carried on the ground that 12,126 votes did not represent a majority of the total votes cast at the election (29,697). A few weeks later (December 11, 1896) the supreme court unanimously held that a majority of the votes cast on the amendment measure was suffucient to secure its adoption." 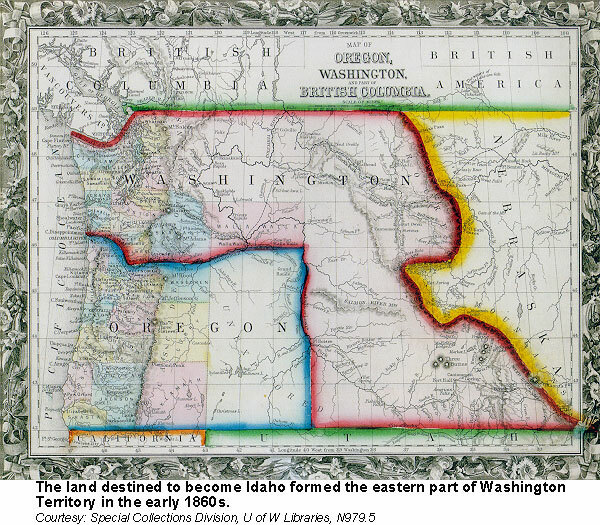 - C. J. Brosnon, "History of Idaho," Charles Scribner's Sons, 1935. 1887, Oct. - Boil Hay in new ironware kettles . .